Women’s genital cancer affects millions of women worldwide every year but many women don’t know that they are sick until their illness has become serious. Additionally, in parts of the world, prevention and screening is lacking, or doctors lack the training to promptly and correctly care for patients with genital cancer. Women should be better informed and not feel ashamed to ask their doctors questions. ESGO believes that early detection, improved risk predictors and better prevention will make a difference. ESGO is also confident that investment in education will give women with cancer the best possible care. Develop online innovative materials so that professionals can have access to the right information and education from anywhere, anytime. Run workshops and masterclasses for young doctors, trainees and residents. Provide traveling fellowship grants to young doctors to enhance cross country mobility. Bring experts to hospitals (“flying professors”) to evaluate local needs. Support more than 15 regional meetings and workshops every year that educate over 3,500 doctors across Europe. Fund networks that bring together scientists, clinicians and patients to predict, prevent, detect and treat women's reproductive cancers. By 2015 4% of the population will be cancer survivors in developed countries. The incidence of endometrial cancer has risen by 25% in 10 years. Women in Romania are 11 times more likely to die of cervical cancer than Finnish women – screening reduces incidence and mortality but has only been established in 16 EU countries. Vaccination rates for cervical cancer prevention vary widely across Europe. The incidence of vulvar cancer is rising in younger women. Ovarian cancer is now established as a group of diseases requiring individualized management. 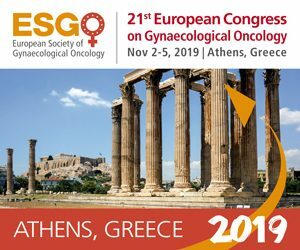 If you donate to ESGO, you will know you are making a difference to medical education and prevention of cancer that will help care for millions of women around the world! Donate today for tomorrow's gynaecological oncologists!